Sophisticated technology and infrastructure that provides you with a complete communications solution with unmatched functionality, quality and reliability. Nothing is more important to business success than communicating professionally and promptly with customers and colleagues. The way businesses communicate and handle incoming calls, and everything from faxes to conference calls, affects public perception of the company. Evolving businesses can offer their customers a better service and enhance the way employees work by adopting the most readily available and affordable technology. In today’s world, leading edge communication begins and ends with a high-speed Internet enabled, cloud-based, IP-connected phone service from RingCentral. Upgrade to a Smarter Business Phone System. So what is RingCentral Cloud PBX? RingCentral is a simple, flexible cloud-based PBX solution that enables your business to be connected like never before. 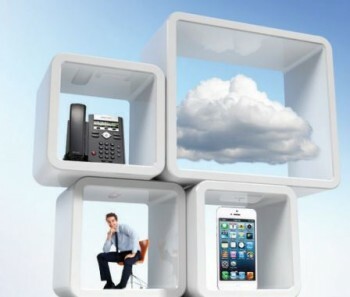 As the leading cloud-based business phone system provider, RingCentral enables you to eliminate on-premise telephony equipment and improve communications across your organisation by providing a feature rich virtual PBX platform with greater power than a traditional phone system, unparalleled ease of use and ultimate mobility access from anywhere online or on smartphones. The wires are gone, so you’re never tied to a single location, device or desk. Your cloud phone system follows you wherever you go, so you never miss a call. Seamlessly wrapped up in a remarkably intuitive interface that works across desk phones, smartphones, tablets and computers, RingCentral provides all the features you need for meetings, audio conferencing and collaboration in one easy-to-use global solution. Communications Designed for Today’s Business Demands. Wherever there in an internet connection, you now have your office phone. Simply connect all your devices with a single number so you can be productive anywhere, whether in the office, on the road or in a cafe. Instead of connecting phones to an on-premise PBX, RingCentral phones plug into your router and connect across the Internet to RingCentral datacenters. All of the RingCentral Office phone system settings and configurations are located in the datacenters–administrators can manage the system and users can change their settings using web forms, from any device with Internet access. Smart apps installed on your desktop computers, laptops, and smartphones transform them into powerful extensions of your business phone system, suited for many business environments beyond the office. VideoCentric don’t believe in rip & replace. We understand the need for gradual integration, especially with a businesses most important method of communication such as telephony. With our help, we will enable you to continue with your current PBX platform and set up your RingCentral platform for you to trial side-by-side, and assist you with moving across gradually & seamlessly, once you are ready. Plus, you keep your existing number and transfer it free of charge, anywhere across the UK. 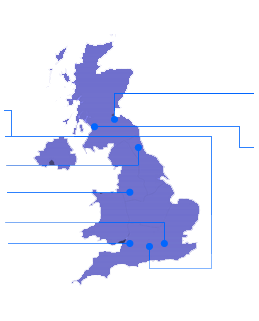 Call our UK team on 0118 9798910 to see how RingCentral can work for your business. Want to find out more or see the solution in action? Contact us today to discuss your requirements and to organise a demonstration.